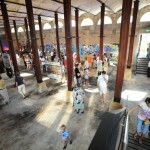 Paddington Reservoir is a State significant heritage item and is listed by the National Trust. 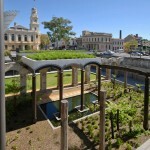 Paddington Reservoir Gardens created a new high quality public open space from disused infrastructure. 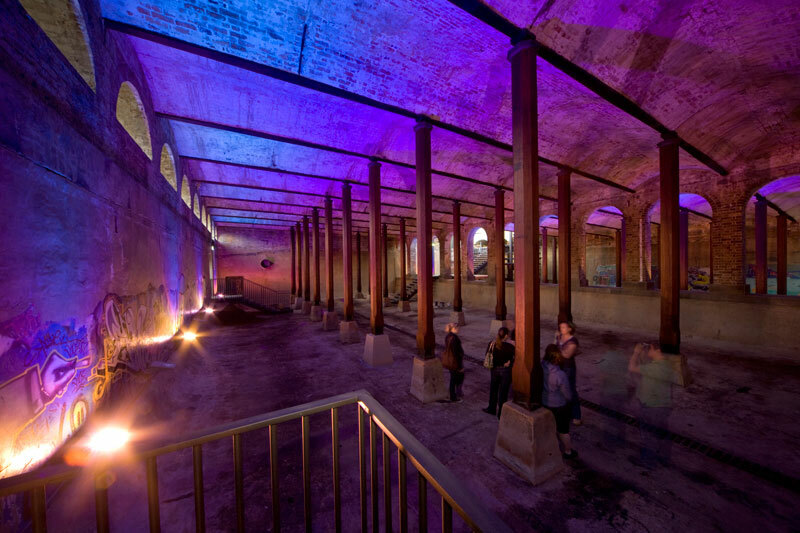 The design strategy was to celebrate the existing industrial artefact, originally designed by Edward Bell and constructed in two stages (1866 and 1878). It was decommissioned in 1899 and used as a garage and store from 1900. A grassed park on the roof was opened in the 1930s. The site was closed between 1990 and 2009 due to partial collapse of the roof. 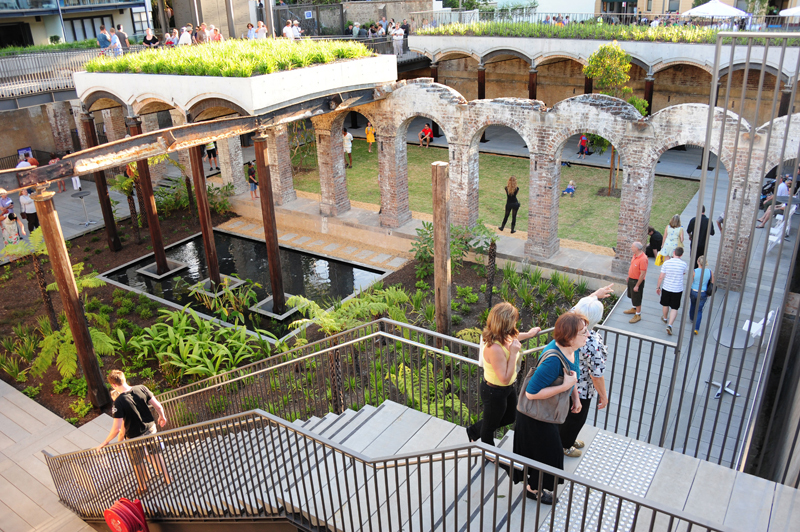 The Paddington Reservoir Gardens now have at their lower level a sunken garden and a boardwalk that has been installed in the western chamber. The garden is tiered either side of a central brick wall with a lawn and tree grove on the upper level and a Victorian tree-fern garden and reflective pond on the lower level. The edges of the ruin are contained by concrete up-stands that amplify the distinctive curved characteristics of the original brick vaults. The gated eastern chamber has been conserved with new timber columns and a waterproof concrete structure over, stabilising the brickwork and forming the base for the new accessible landscaped park above. The upper level park has been reinstated with the simple gesture of a gently inclined grassed plane with border planting in keeping with the original design. Two lightweight roofs float above the reservoir, signalling the main entry points to the park. 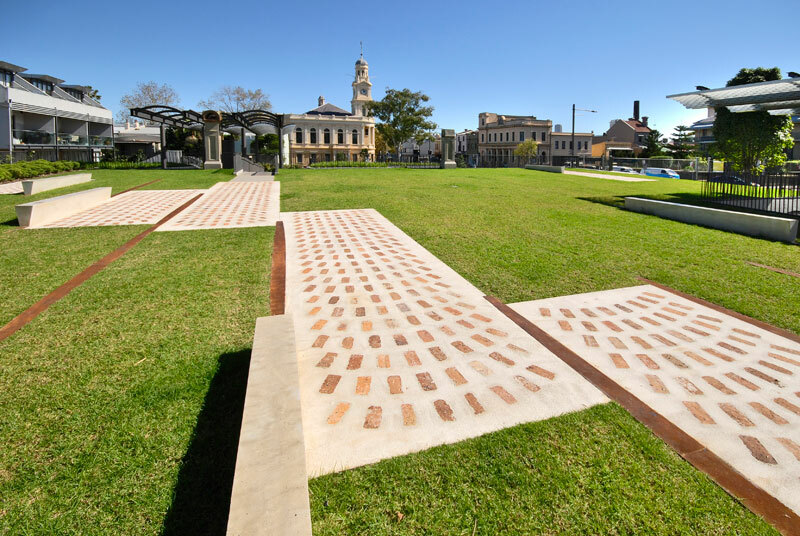 A robust pallet of three materials – steel, aluminium and concrete were chosen as contemporary partners for the historic brick, cast iron and timber, united as they are in their raw industrial expression. This quality is softened by the status given to the planting and also by the overt invitation to explore the whole park. 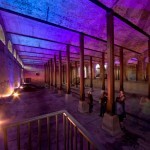 The project allows the public to experience the original spaces of the reservoir for the first time in over 140 years. 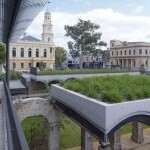 The reactivation of the site completes the Paddington Civic Precinct (formed by Paddington Town Hall, Juniper Hall and the Post Office) and reinvigorates the nearby streets. The project adaptively reuses a State Heritage Item which was derelict for more than 16 years, including significant interpretive elements of the historical landscapes (e.g. swamp species and formal exotic planting referring to latter Victorian era overlays). 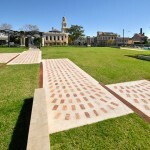 The design includes a pedestrian link through the site, from the high street level to the adjacent residential precinct. This provides universal access to all parts of the open space and overcomes significant level changes. 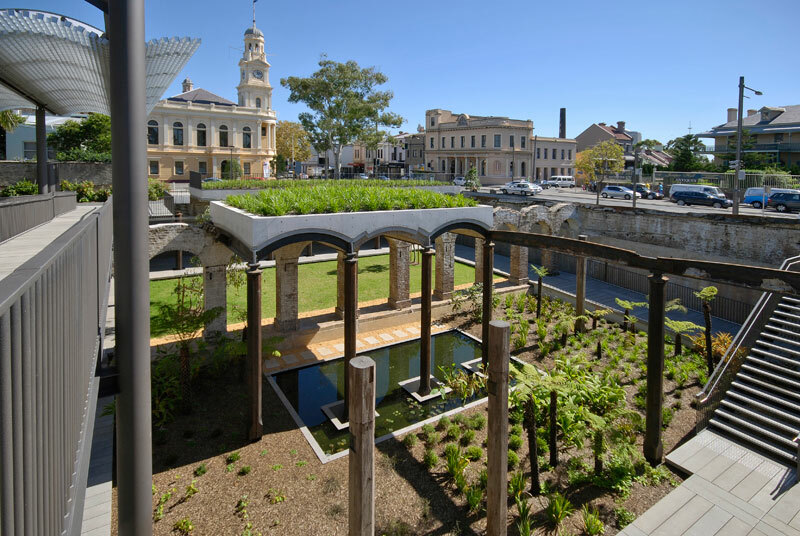 The new pedestrian walkway also incorporates elements of the historical landscape including the use of plant species used in the Victorian era. 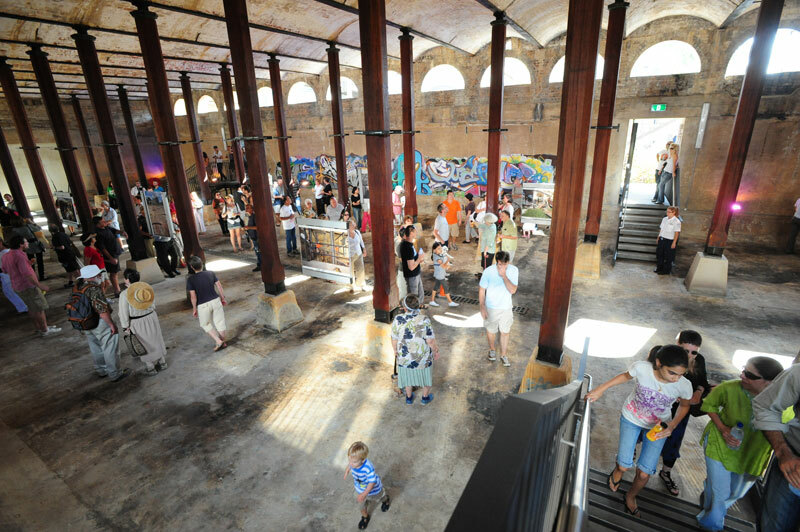 The eastern chamber of the Gardens is now utilised for site tours and other low-impact programmed events. 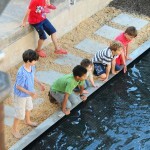 The park provides a diversity of spaces from the open rooftop lawn, to the sunken garden and the underground chamber. Each space has a richness of history, texture and environmental qualities. 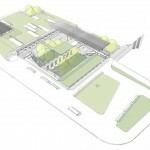 The park provides a new active civic meeting place in the heart of the precinct, as well as opportunities for respite from the hustle and bustle of the adjacent streets. 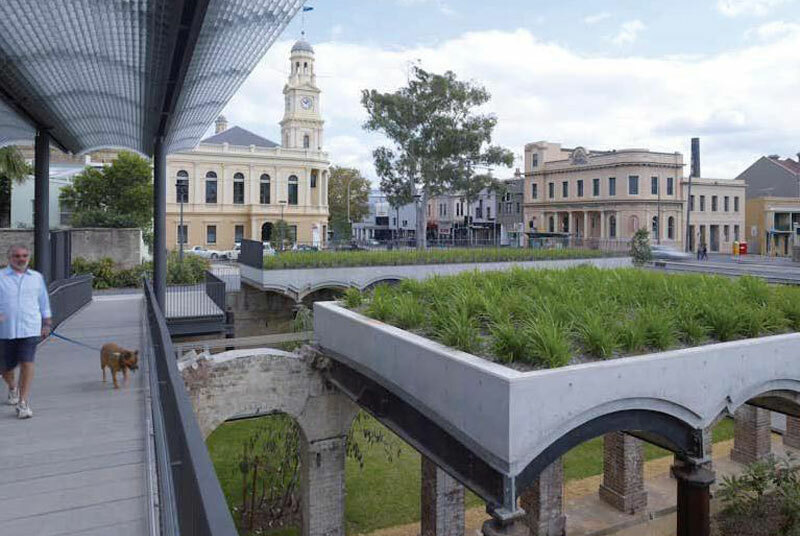 The project is a best practice example of adaptive re-use of a State significant heritage item, carefully designed to enhance the significance of the place and to be totally reversible. The materials used have created an easy to identify contemporary overlay and are robust—predominantly concrete, steel and aluminium. The project is also designed to harvest rainwater from surrounding buildings for irrigation of the park, and trials the use of LED low energy consumption lighting. 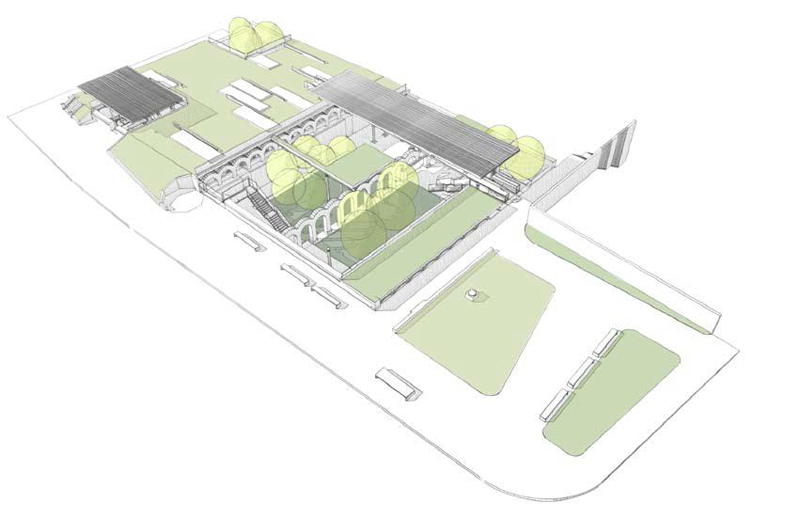 The design of the Gardens provides a range of different environments, including a sunken garden that provides a sheltered area of respite from the vibrant and noisy adjacent streets. The Gardens feature a moveable seating overlay, which was trialled in the Gardens and has since been implemented in other public places. People can constantly be seen using the Gardens. They cater for both formal and informal activities and have been designed for hosting programmed low impact events such as art displays. 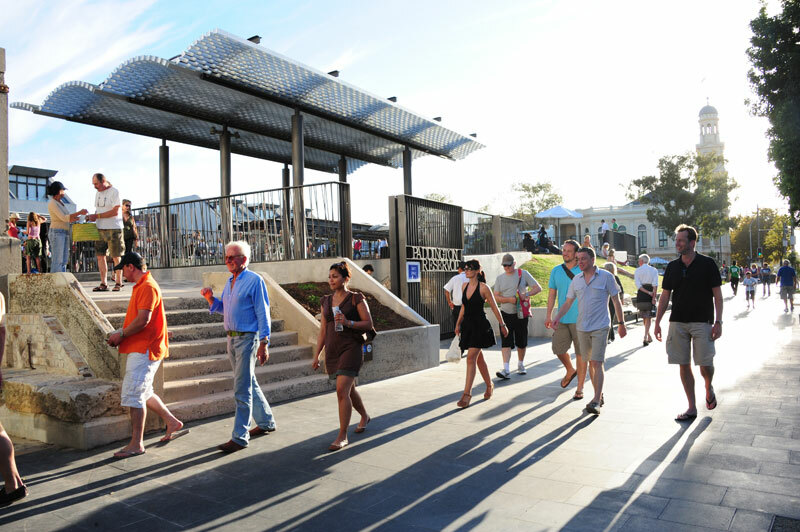 The Gardens have reactivated the neighbouring streets and surrounding area, helping to revitalise local businesses which were suffering as the result of the development of a nearby regional retail mall. The Gardens have been designed to be safe for all ages including children, which is important as the site is adjacent to a busy road. The design has improved passive surveillance of the site from adjacent areas of the public domain by lowering boundary walls. 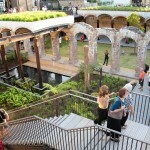 The Gardens have been designed utilising universal access principles. 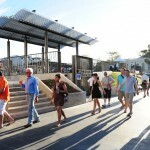 The site is well serviced by public transport and is part of an elevated pedestrian walkway. No additional car parking was provided as part of the development. 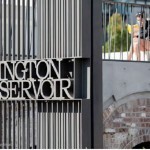 The project had been identified in Council’s strategic planning (open space strategy and budgeting processes) for five years prior to construction, and was implemented when funds became available. 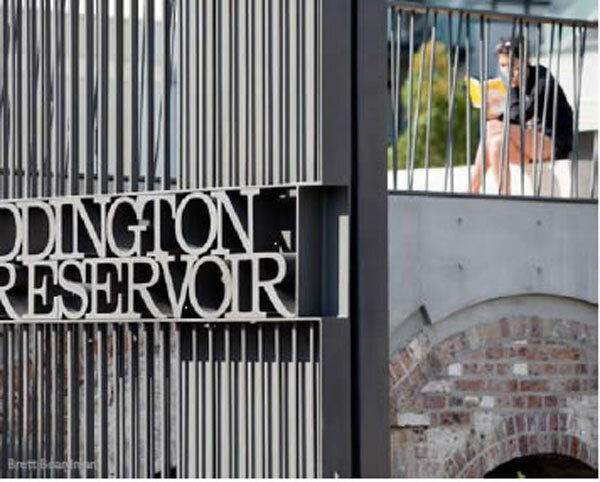 A detailed Conservation Management Plan was developed to ensure that the heritage significance of the site was enhanced, and community consultation processes were fully integrated into the design development. The project extends into the street, setting the palette for future refurbishment of the main street. 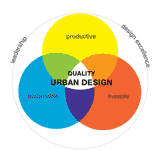 The project was developed utilising design expertise from within Council from its inception. The project team was led by award winning consultants with an established track record in adaptive reuse projects. Importantly, the budget was determined with reference to the final preferred design so that design quality was not lost through ‘value management’. A plan was developed for Council as an integral part of the project to ensure its ongoing management and maintenance over time. The materials and details utilised in the construction are robust. Flexibility and reversibility were integral to the design approach, enabling the Gardens to be adapted over time without reducing the significance of the heritage item.